"Understanding Olive Oil: The Romance and the Reality" a three-course luncheon workshop examines the history, cultural significance, and culinary functionality of this highly sought-after oil. This workshop is being held May 6, 1015 in conjunction with the AOCS Annual Meeting and Industry Showcases in Orlando Florida. Trained olive oil sensory experts will present an introduction to official olive oil tasting protocol leading a tasting of six olive oils, including top award-winners from around the world. These oils have been selected to illustrate official tasting methodology and to showcase the complexity and diversity of great extra virgin olive oil. An olive oil pairing lunch will be presented in an exploration of the flavor dynamics of olive oil and food. This program promises to provide a most illuminating and delicious learning experience that will give you a new appreciation of the science of olive oil in a gastronomic context. and be entered to win door prizes. Space is limited! Reserve your seat when you register for the AOCS Annual Meeting or register for ONLY this event in the AOCS store. Add the Olive Oil Workshop to your Annual Meeting itinerary when you pick up your registration materials in Orlando! This month’s feature article from Inform, the AOCS membership magazine, provides a handy review of the basic technologies and ingredients used by cosmetic chemists in creating functional products. Author Perry Romanowski, the publisher of Cosmetic Chemists Corner, will also be an instructor for a short course on novel cosmetic surfactant systems on Sunday, May 3, during the 106th AOCS Annual Meeting and Industry Showcases in Orlando, Florida, USA. Assure the integrity and purity of your cosmetic ingredients with Methods of Analysis for Cosmetic Ingredients. These methods have been specifically selected by the Society of Cosmetic Chemists (SCC) from the Official Methods and Recommended Practices of the AOCS, 6th Edition, 3rd Printing to comply with ISO 22716 and Good Manufacturing Practices to guarantee the safety and purity of cosmetic ingredients. Join industry experts as they discuss “Practical Solutions for Tomorrow’s Challenges,” in Miami, Florida, USA, October 27–30. Take part in discussions about the latest developments in the evolving landscape of Soaps, Detergents, Oleochemicals, and Personal Care. Join oils and fats senior executives from around the world November 12–13 in Dublin, Ireland. Make new connections, strengthen your business, and discover the latest trends and opportunities. Getting ready for the 106th AOCS Annual Meeting and Industry Showcases? Don’t forget to set up your attendee profile in The App, the meeting’s new mobile event guide. Access The App to build your personal itinerary, search presentations and abstracts, and connect with other attendees. Login details for The App were distributed to registered delegates in early April. Need assistance? Before the meeting, you can email Ellen Snipes for troubleshooting tips and tricks. Need help once you’re in Orlando? Stop by The App Help Desk at the Butler Room. 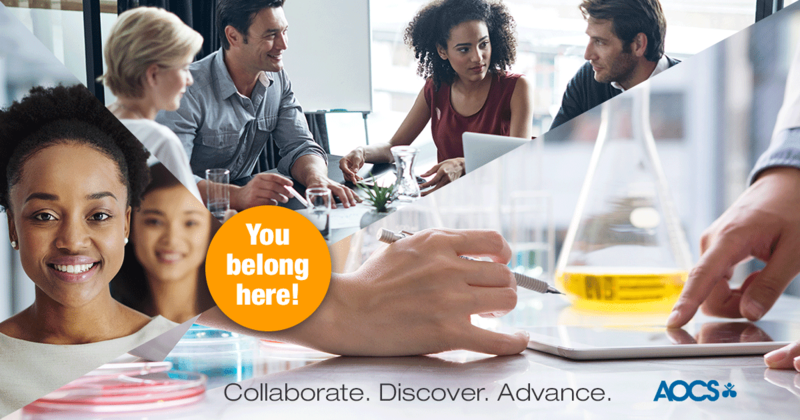 Take advantage of our Annual Meeting Career Center to connect with the brightest minds from around the globe and the expanded career network to search for the perfect employee or career opportunity. Employers can reserve a table free of charge to meet with interested parties. Tables must be reserved by April 27, 2015. Contact Doreen Berning to make your reservation. It’s Not Too Late to Participate in the Olive Oil Workshop! When planning for the meeting, remember to pack a brand new book or toy that represents your home country. Luggage too full for a donation? Cash donations will be accepted during the meeting too. We’ll have a Toy Drive box at the meeting registration area to accept all donations. Arnold Palmer Hospital for Children welcomes all toys so that every child who is hospitalized for medical care can receive fun toys and gifts to brighten their day. Visit their webpage for donation suggestions. AOCS Career Services regularly posts some of the best career opportunities in the industry. Take a look below at several current listings, or get more information on the Career Center website. Online registration closes April 24. Join leading stakeholders in the olive oil industry for this intensive one-day seminar hosted by Keller and Heckman LLP and the State Bar of California. ​A panel of experts including industry leaders, scientists, lawyers, professors and government officials will review in depth the latest science, standards, legal developments and testing methodologies, particularly in light of new authenticity testing. ​Growers, manufacturers, processors, distributors, retailers, chefs, restaurant owners and all those otherwise engaged in the olive oil. Maria Reyes, KeHE Distributors, David Neumann, Gaea North America LLC, Richard Cantrill, AOCS, Alexandra Devarenne, Industry Consultant and Extra Virgin Alliance, Michael Roberts, UCLA Law School, and Paul Miller, AOA. ​A networking reception will take place following the seminar. $295, if you register by April 23; $395, after April 23. Yes, I would like to attend this seminar! "What can this organization do for me?" is a frequently asked question. It applies to social clubs, fraternal organizations, and scientific societies. Perhaps the question should be phrased, "What can I do for this organization?" At least this is more consistent with the old adages, "You get out no more than you put in" or "The more you give, the more you get." In this age of social responsibility, it is refreshing to consider the personal contributions of time and energy made to the Society by hundreds of our AOCS membership. The officers of the Society provide direction and set the general policies for the organizations. Committees are constantly at work to improve current activities and provide the opportunity to directly influence the direction for the Society. Editors, books reviewers, scientific papers all work together to help make our journals outstanding technical publications. Other ways in which people contribute to the Society are through Section and Division activities, participation in short courses or convention programs, and presentation of scientific papers. Governance, committee, publication, technical expertise all gives the spark which stimulates the members into making this the "most friendly" scientific organization. All those who have come into direct contact with the Society have been impressed with the earnestness, sincerity, and friendliness of the people in it. These people are obviously enjoying their contributions to Society endeavor. different interest, a new activity within the organization that would provide the challenge you enjoy. Your personal participation in the Society affairs which most appeal to you will bring rewards far greater than your investment of time and talent. Taken in part from David Wesson?s article back in 1920's. For those of you who want to "Invest in AOCS" - You Can. Only have a few minutes - You Can be involved. Want to lead - You Can. The You Can webpages were designed with level of participation you wish to contribute to your professional society. Our Society was founded on the spirit of volunteerism. As David Wesson asks, "Are you getting out of your organization all you should" ? No. 3 on the “fab 5” list! “This paper helped form the foundation in the literature that polyunsaturated fatty acids (PUFA) are subject to free radical-initiated autoxidation and form endoperoxides,” notes Lipids Editor-in-Chief Eric J. Murphy, which are now recognized as an important part of the pathophysiology of numerous human diseases, including atherosclerosis and cancer. By using several mass spectrometric techniques, the researchers determined that oxidation of methyl linolenate results in endoperoxide formation and that these products go on to form malonaldehyde. By extension, other PUFA would be subject to autoxidation to form endoperoxides and are the source of the TBA-reactive [thiobarbituric acid] materials in autoxidation systems, now known to contain mainly malondialdehyde formed via PUFA autoxidation. Continuing with the theme of thanking our volunteers during Volunteer Week, AOCS Press would like to thank the editors and authors of our three new titles now available from AOCS Press. In addition to the editors listed below, over 115 chapter authors devoted many hours to help produce these timely and relevant publications. Thank you! Enrique Martínez-Force, Nurhan Turgut Dunford, and Joaquín J. Salas, editors of Sunflower: Chemistry, Production, Processing, and Technology. Moghis Ahmad and Xuebing Xu, editors of Polar Lipids: Biology, Chemistry, and Technology. Dimitrios Boskou, editor of Olive and Olive Oil Bioactive Constituents.